DID you know you can increase website traffic without marketing? I know, I know…It sounds too good to be true. But, it is. Marketing is one of the most important aspects when it comes to business, and should be a primary focus from the very start. However, if you only focus on the usual traffic generation tips and tricks, then you’re going to be missing out on a lot of audience reach and potential customers. 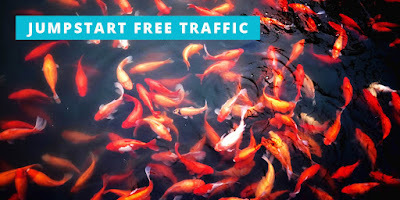 Before we can focus on ways to jumpstart your traffic, we should first cover the various types of traffic. It’s a pretty well-known fact that having a high volume of traffic coming to your site is one of the signs of success in the online portion of your business. It means there is content that has drawn people to your site, and more visitors means more potential sales. Of these four types, the organic traffic is definitely the most important. This type of traffic comes from search engines, and brings in more valuable, targeted users. After that, referral traffic is high up on the list, but that really depends on what type of website is sending you referrals. If they’re coming from popular websites, you’re more likely to get quality traffic. Low quality sites will bring in less than stellar traffic and, as such, won’t benefit you all that much. Direct traffic comes from a user visiting your website’s URL directly from a browser – They either bookmarked you, or typed it in directly. Finally, social traffic comes from (you guessed it) social media networks. When it comes to implementing the following strategies, it’s best to keep your actions repetitive. Keep doing these things as often as possible, and you will really start to notice a significant (and steady) increase in your website traffic. It won’t happen overnight, or even within a single month, but it will happen. It will pay off, and you won’t have to spend a single cent on buying traffic or advertising your business. This one really can’t be stressed enough, which is why it gets listed at the top. Social network traffic is extremely important for business, and is pretty easy to get when compared to the other types – especially organic traffic. Get active on social media sites like Facebook, Twitter, LinkedIn, Instagram, Google+, Pinterest, StumbleUpon, and even Snapchat. Don’t spam your followers, but make sure your clickable links are prominently displayed. Share their content, comment on their posts, and start a discussion. The more you network, the more connections you will get. Once you build a community, or become part of one, you will see a steady increase in website traffic. Leave valuable comments on other blog posts and social media posts, and others will click on your link to check what you’re all about. This is why you need to make sure your website’s pages are shareable, too. If they aren’t designed to be shared, you may want to consider adding some social plugins to your site in order to make it easier for readers to share your posts across social networking platforms. From the very first day you start your website – especially if it contains a blog – make sure you are building your email list. Don’t force visitors to subscribe, but offer valuable incentive for them to do so. This lets them subscribe willingly, while getting direct benefits out of it. If they subscribe willingly, you will be able to send them posts directly to their email without them unsubscribing and considering your emails to be spam. If you want to get more blog readers, one of the best things to do is to link your email list to the RSS feeds on your blog. This ensures your readers are notified as soon as you publish a new post. Your readers will stay in the loop, see your newest content, and keep your business fresh in their minds. They will be more likely to think of you when they need the type of product or service your brand offers. Expert Tip: Use this cutting edge tool to collect emails! Pages and posts that are search engine optimized (SEO) are going to rank higher in search engines and, as such, will help you increase website traffic without marketing. If you have, say, 60 posts that are ranking even fairly high within search engine results and they each get 10,000 clicks, that means 600,000 clicks per month and millions of page views for your website. 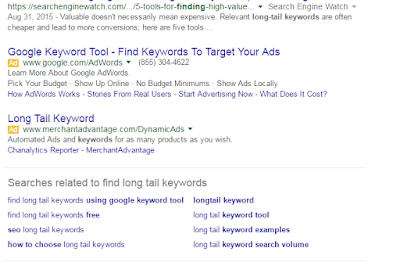 Test out all of those ideas with the Keyword Planner by using the “See how they perform” option. Use a unique meta description for each page, making sure to incorporate one or more relevant target keywords. Keep this under 155 words. Optimize the images by using ALT tags with related keywords. The content of your site should have enough value to keep your readers engaged. This means your site should have at least 300 to 400 words of unique content on each page. Start a blog for your business, and publish a post as often as you can. A couple times per month is good, though more would be ideal. Promote your content across various social media platforms. It’s recommended that at least 70% to 75% of your time should be spent on the title of your web page, blog post, or article. You want to ensure it uses power words and is catchy enough to snag the reader’s attention. Backlinks are basically hyperlinks that connect a single webpage to a full website. Not only are they incredibly important for search engine optimization, but they also make it easier to increase website traffic without marketing. Backlinks will bring referral traffic to your website and/or business’ blog. This will boost your search engine ranking and domain authority, which will result in you getting more organic traffic. According to Fortune Lords, roughly 300 hours of video are uploaded to YouTube each minute, with nearly 5 billion videos being viewed each day. In fact, roughly 900 million hours of video are watched on YouTube each month. If you upload quality videos to YouTube, and then link back to your website, you are likely to receive tons of referral traffic to your website. If a video happens to go viral, then you are likely to receive millions of traffic! There is also the added benefit that, assuming none of the Terms of Service are being violated, your videos will remain online indefinitely. That means that source of referral traffic will never go away. Targeting these long tail keywords within your content can boost your organic traffic by more than 50%. Increasing website traffic without marketing can be pretty difficult, but one of the most powerful things you can do is to focus on building your brand. Place an emphasis on providing quality, value-driven content to your readers and monetize your blog when possible. A website that has a strong brand that stands out from the masses will have returning visitors and dedicated readers who place their trust in your authority. This helps you to stand out within your business niche, and will bring in continuous support for your business without you having to spend oodles of money on marketing efforts that may or may not pay off in the end. The following actions are pretty common mistakes. This list of “Don’ts” will adversely affect the value of your website and brand’s authority, and will decrease your website traffic. You’ve undoubtedly seen this before: A website owner or blogger wants to get has many click-through rates as possible, so they post something once or twice per day. The content is of fairly good quality at first, but then just goes downhill from there. Posting often may get you some great click-through rates, but it will tarnish your brand’s image to have poor content on your site or blog. Maintaining a solid reputation and brand authority within your nice will bring in the targeted traffic you want. While there is some benefit to buying traffic now and then, it generally brings in non-targeted visitors who are probably not very relevant to your brand. There is also the added drawback of the traffic mainly coming from websites that are considered to be of low quality, which would affect your website ranking. If you want to keep a high quality website, it’s best to avoid buying website traffic. The above tips help show you what to do, and what to avoid, when it comes to finding ways to increase website traffic without marketing. After a few months of regular implementation of these techniques, you will likely start to see your traffic climb. If you put all of that effort into your content, but don’t see the result you’re looking for, you may want to review your content and hire an experienced freelance writer or web designer. Looking for another great way to drum up some traffic? Check out PushConnectNotify and leverage the power of push notifications to really increase your traffic flow! It is super easy-to-use and a great way to optimize your site while securing leads. What are your tried and true techniques for jumpstarting your website traffic without having to break the bank? Let us know in the comments below!